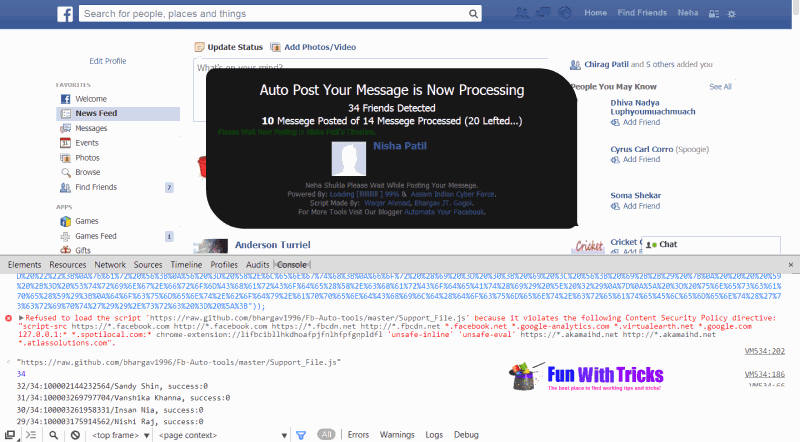 Home » Facebook Tricks » How to send messages to all Facebook friends in one click? How to send messages to all Facebook friends in one click? Facebook is the biggest social networking website with more than 1 billions of active users. 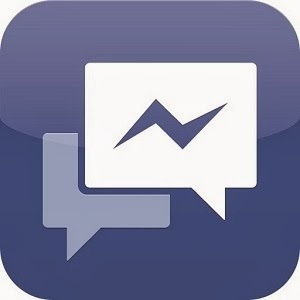 In the year 2013, Facebook has introduced lots of new features such as chat boxes, graph searches, timeline in profile. Today I will show you a simple trick in which you can send same message to all of your friends in single click. You just have to use a script with your message and you will ready to go. 2. If you are using Google Chrome browser, just press F12 function key. If you are Firefox user, then press Ctrl + Shift + K to open inspect element window. 3. Switch to Console section. 4. Click here to get script. Copy the entire code and paste into text box of Console section. 5. Hit Enter. Type any message you would like to send to all friends such as "Happy New Year" , "Happy Cristmas" etc. Click on "Post". Thanks for informing, I will update the post after verifying it on Facebook. Keep visiting.